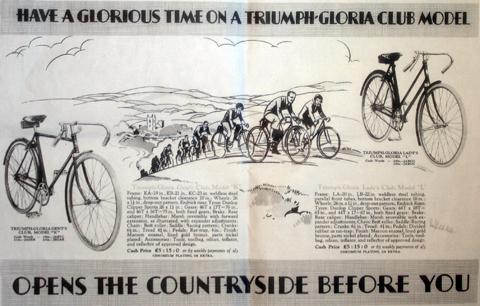 The Triumph Cycle Co was established in 1896. 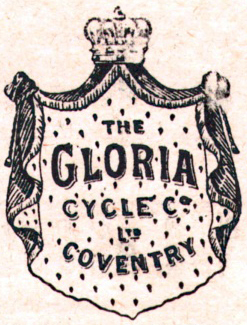 The Gloria Cycle Co was apparently set up in Coventry two years later. 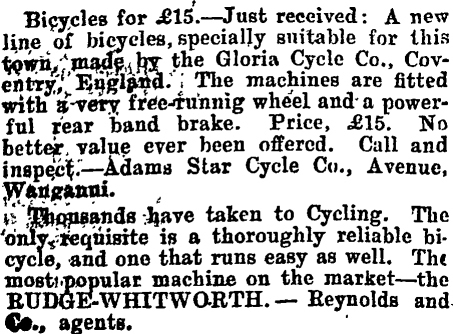 I’m not sure at what stage Gloria became a subsidiary of Triumph, or whether it was a Triumph company from the outset, but Triumph used both names for their bicycles, the Gloria name being used for cheaper machines. 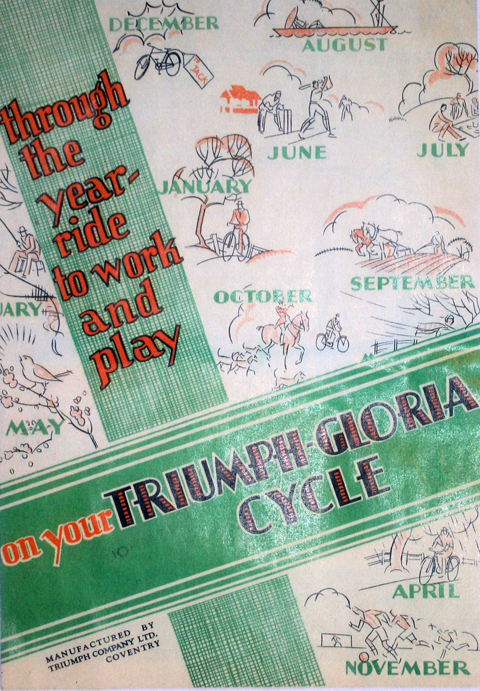 With the increasing success of their motorcycle business over the first three decades of the 20th century, that became Triumph’s main focus. 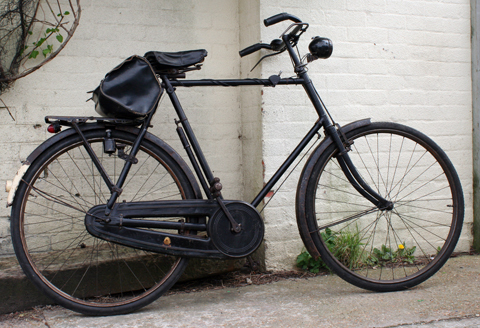 This Gloria Roadster would have been one of the last Triumph bicycles to bear the name because, from 1933, the Gloria became a car. 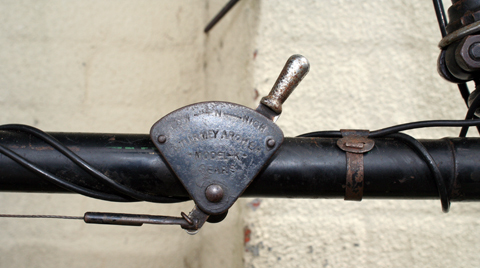 In 1933 Triumph Motor Co decided on a change in direction for their car production, and Donald Healey joined the company. 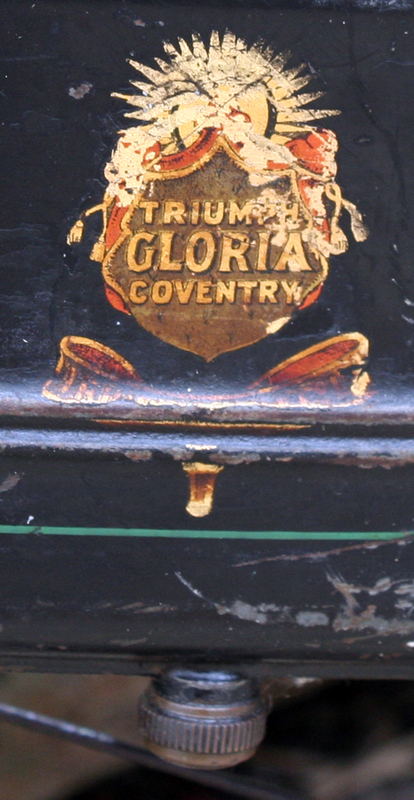 The small Triumph saloon cars had helped the company manage through the depression years, but Triumph now decided to add some glory to their four wheelers. 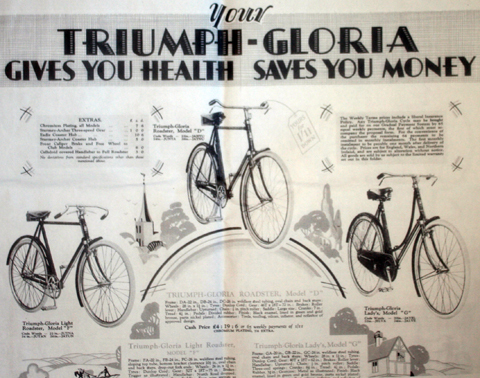 They decided the time was right for larger sports saloons, and the result was the Triumph Gloria series. 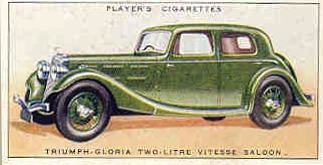 This ran from 1933 to 1937 with around 30 variations based on three chassis lengths, four engine sizes, standard or Vitesse tuned and various bodies. 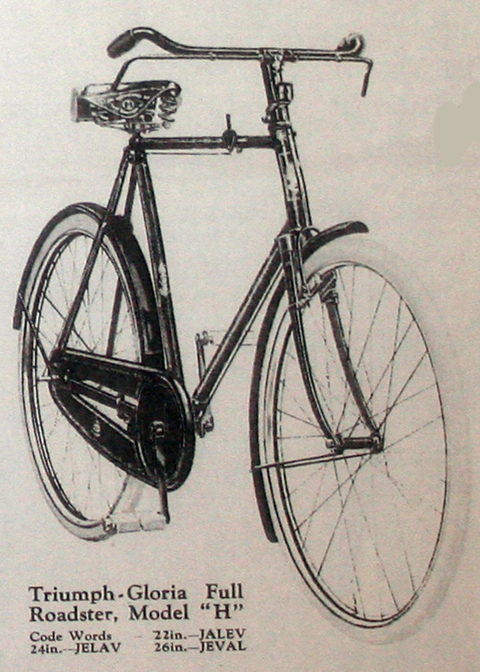 The Gloria was raced successfully. 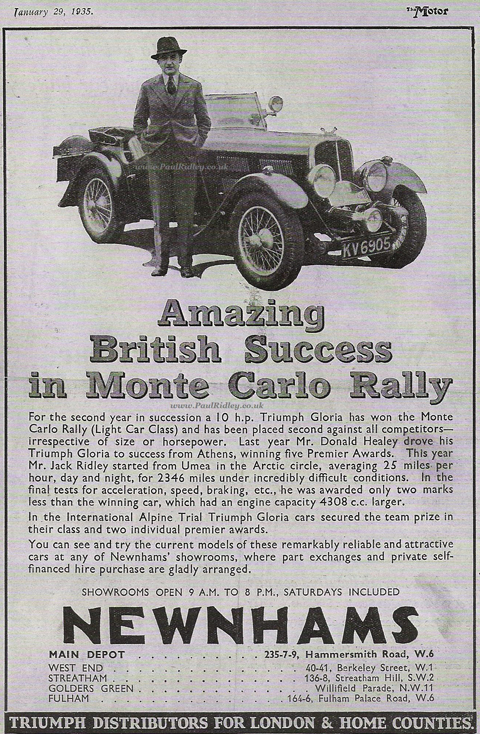 A 1935 advert in The Motor celebrating Jack Ridley’s 2346 mile run from the Arctic Circle in a Gloria can be seen below. 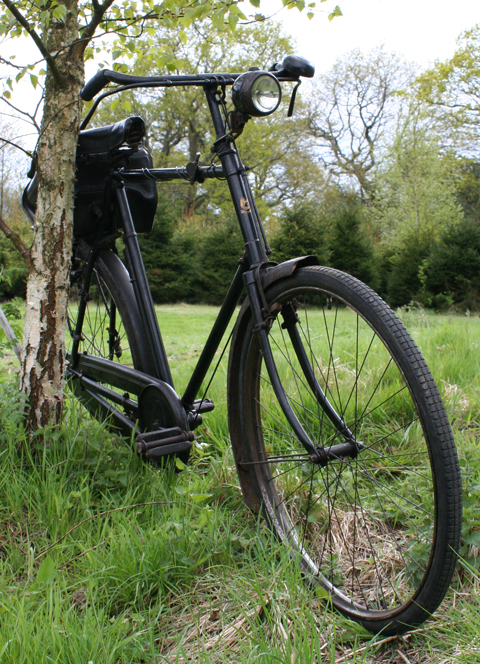 Can a bicycle love you back? 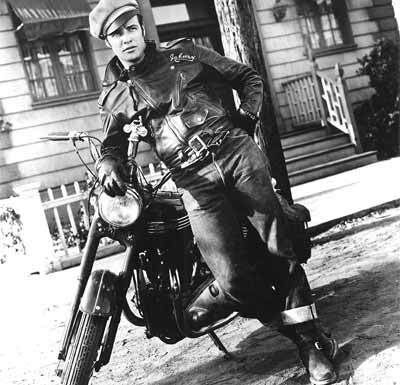 And how suspect is it to admit loving a Man’s bike named Gloria? 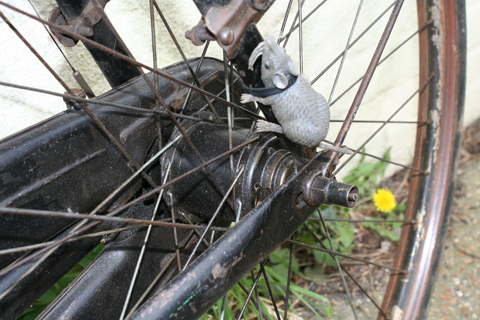 Perhaps I ought to change the subject and just focus on bicycle museum stuff. 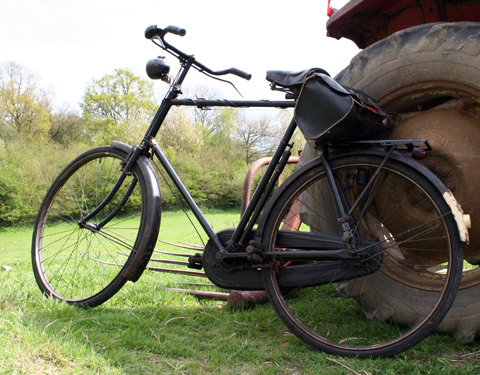 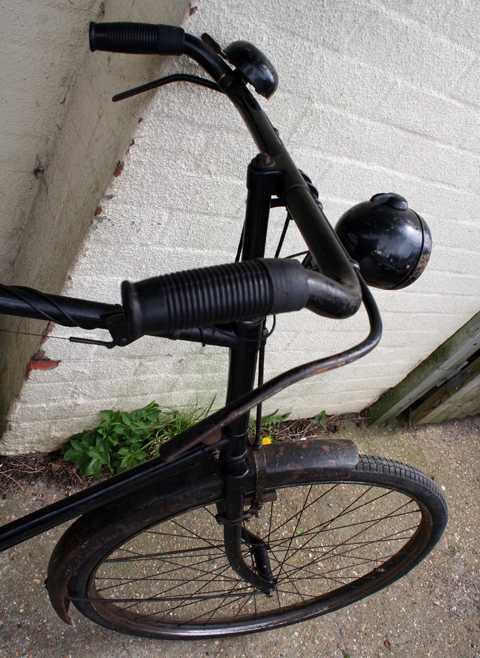 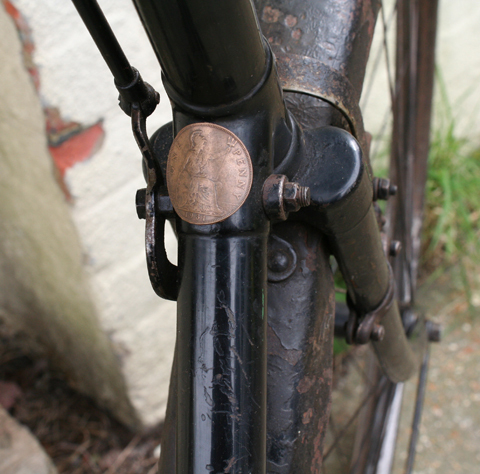 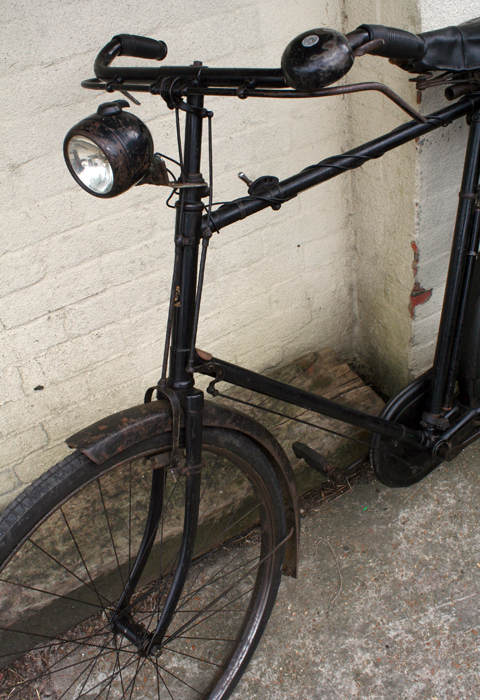 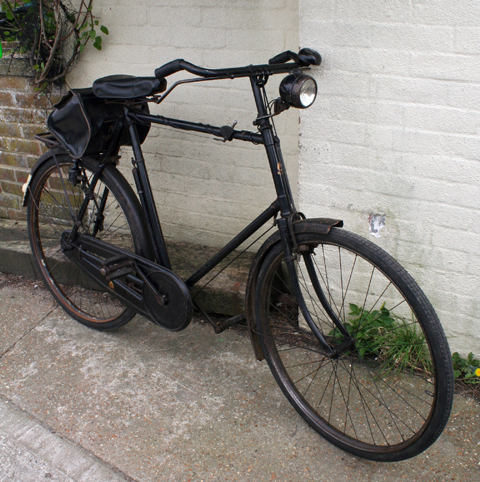 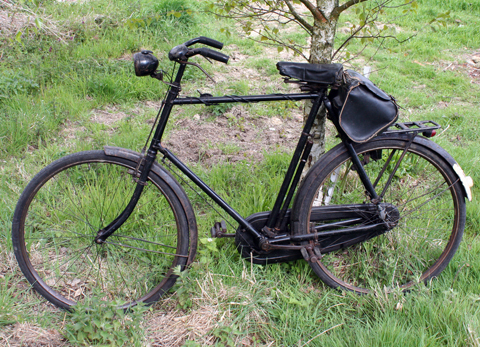 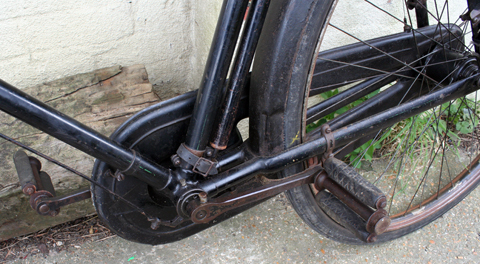 As you can see from the pictures, this is indeed a glorious machine, in original unrestored condition, with the patina one might expect from seventy-nine years of existence. 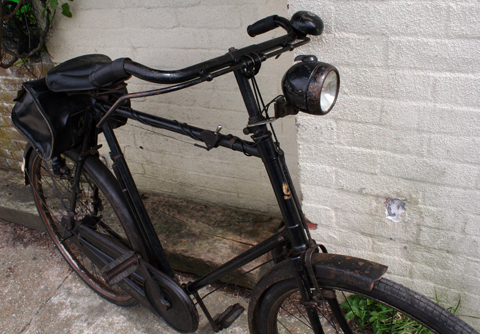 The Roadster boasts a full complement of accessories: lights, carrier, toolbag, pump. 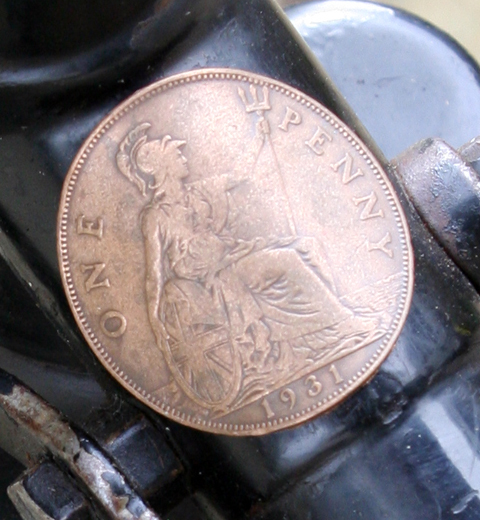 And a 1931 penny glued to the frame. 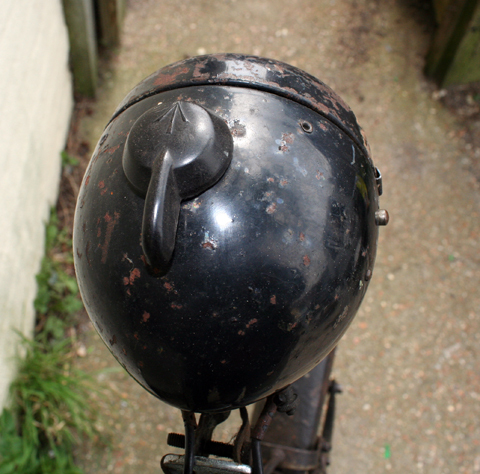 Conveniently, the headlight has an arrow on it to show you which way to go. 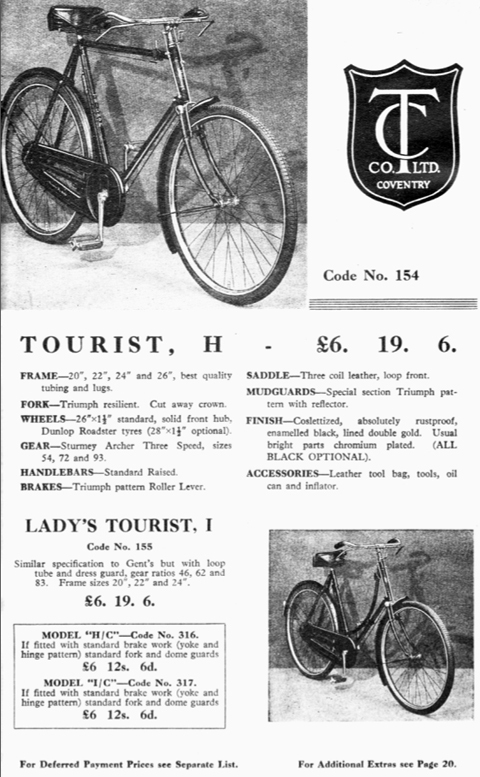 After Gloria Cycles ended – the name transferred to Triumph cars – the ‘Model H Roadster’ continued as part of the Triumph model range. 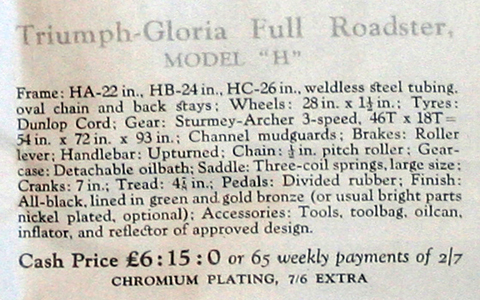 Compare this 1931 Gloria with the 1939 Triumph Model H Tourist illustrated below. 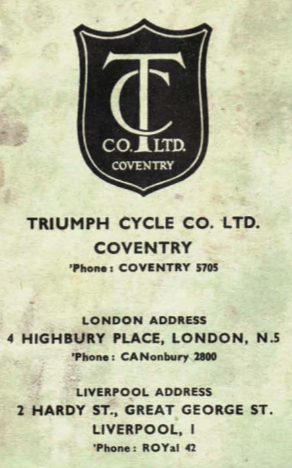 During WW2, Triumph’s Coventry factory was destroyed by German bombs. 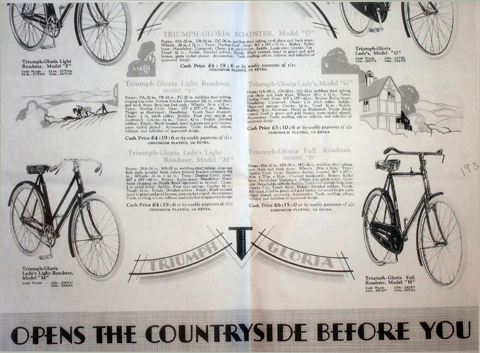 After the war, trading as Triumph Cycle Co. Ltd, the company mainly produced lightweight sports bikes. 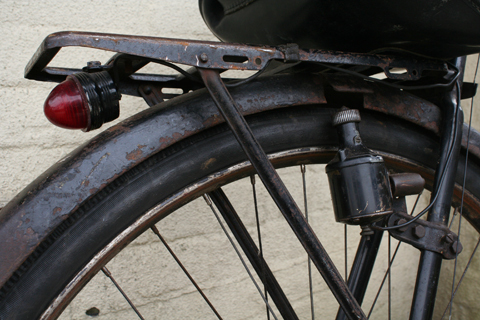 In common with the rest of British industry postwar, the majority were exported to the USA to help repay the massive American war debts. 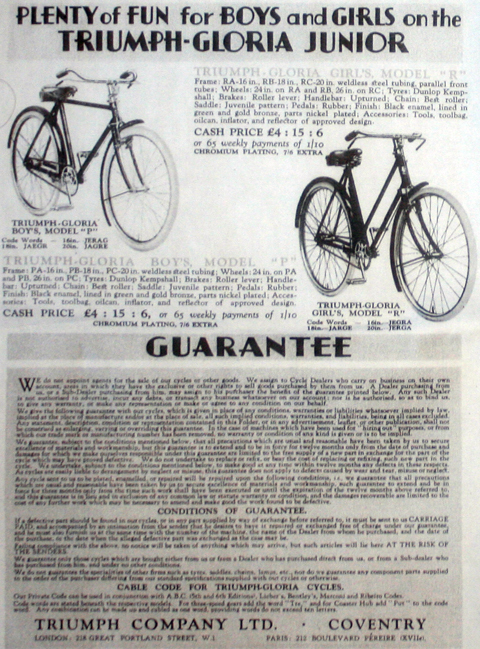 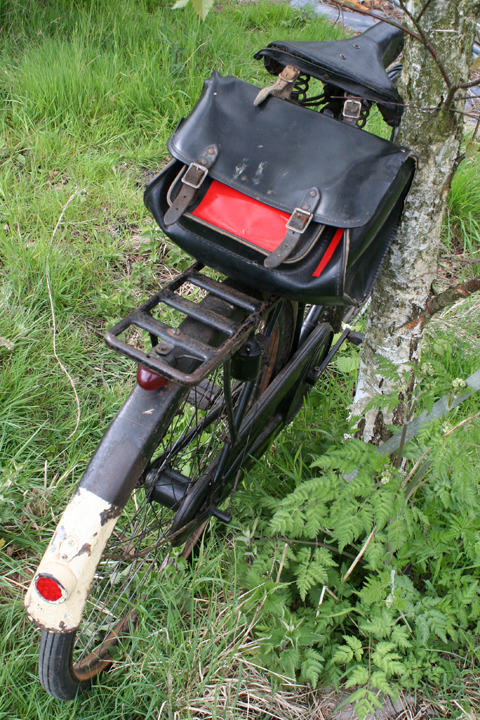 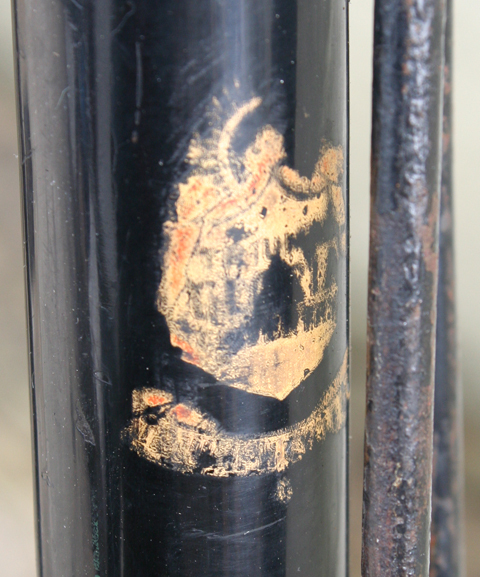 BSA took over Triumph Cycle Co. Ltd in 1951, and BSA’s cycle division was itself taken over by Raleigh in 1956. 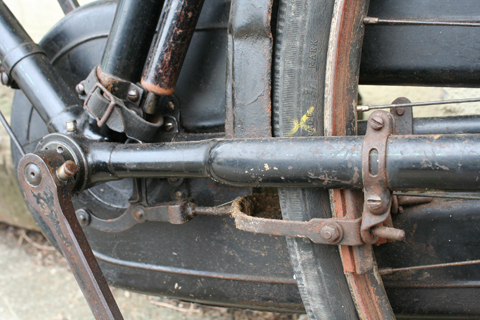 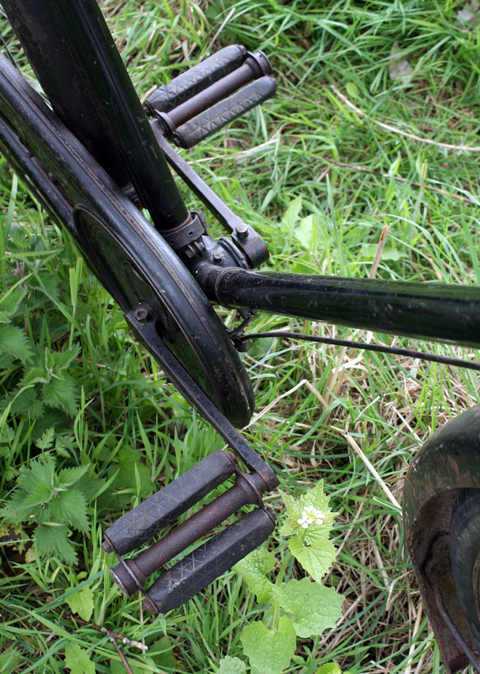 Cyclists may not be quite as errant as the ‘wild one’ but, in my mind, whether sporting Triumph badges or the inverted levers of pre-WW1 Triumph cycles, any vintage machine bearing the Triumph name represents a nostalgic reminder of Great Britain as an industrial world superpower.